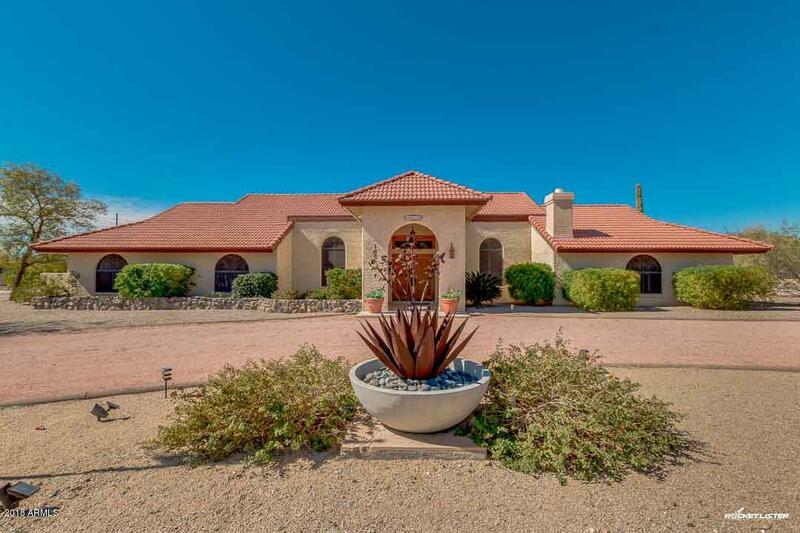 No HOA for this amazing 4 bed, 2.5 bath home in Peoria! 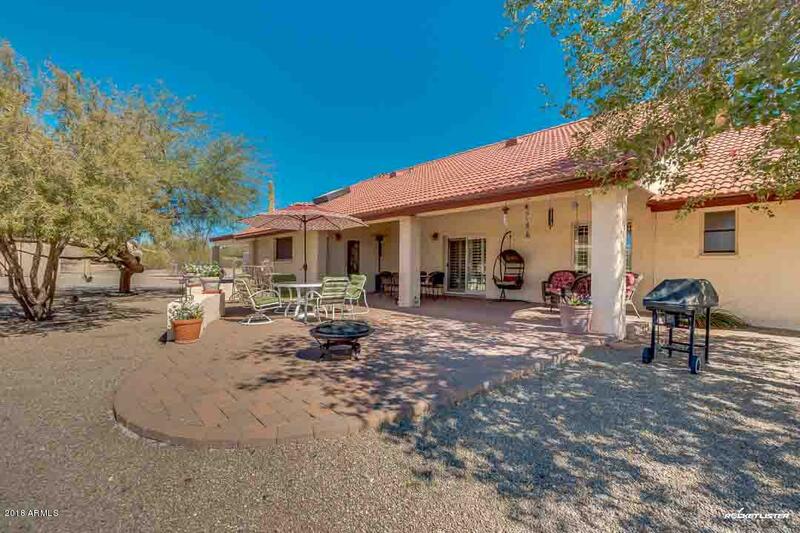 This spectacular horse property offers over an acre of land, circular driveway, and desert landscaping throughout. Step inside and fall in love! 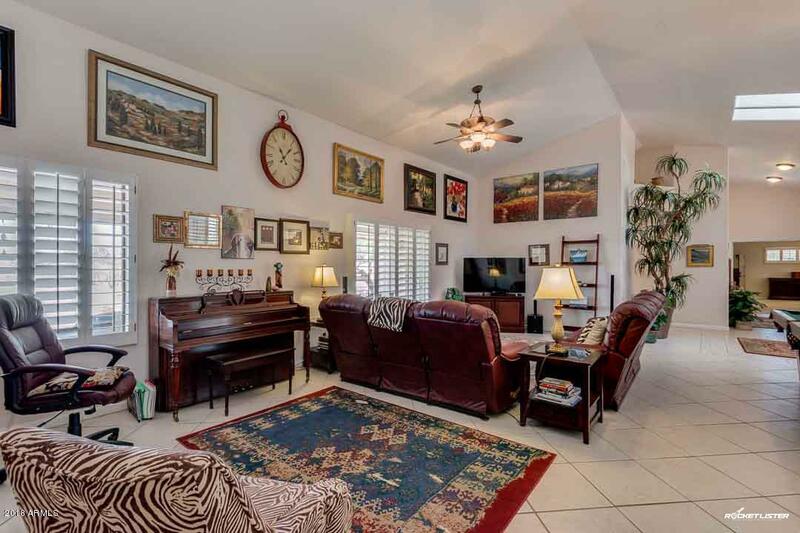 Vaulted ceilings, neutral paint, formal/living room, plantation shutters, and tile flooring in high traffic areas. 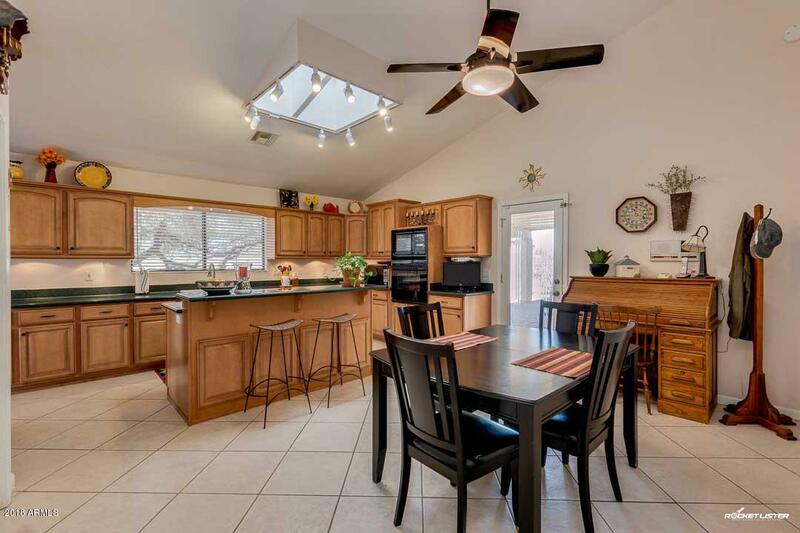 Spacious kitchen is comprised of black appliances, ample cabinets with crown molding, solid surface counters, and large island with breakfast bar. Huge master retreat has cozy fireplace, full bath with his & her sinks, soaking tub, glass shower, and closet. Expansive backyard features covered brick patio, convenient storage shed, carport parking, and mature trees that provide constant shade and breeze. Look no further! Schedule a showing!